For those who enjoy cars and driving, Road & Track covers all the best in high-performance vehicles. Explores subjects such as design, engineering, driving reports, road tests, and detailed technical discussions on such topics as aerodynamics and suspension. 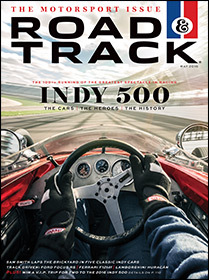 Features include automotive art and photography, travel stories, and racing coverage.